Every single year since I was old enough to have chocolate, I’ve always had a Cadbury Creme Easter Egg from my parents and when I say every year I mean I still get one now! Yes, I’m a big kid at heart and Easter is one of my favourite times of the year. I’m not one of those people that moan when the Easter Eggs arrive on the shelves after Christmas. It means more time to eat my one love of Cadbury Creme Eggs. I think this is my favourite Easter yet, because it is also the release of the film Peter Rabbit at the cinemas. 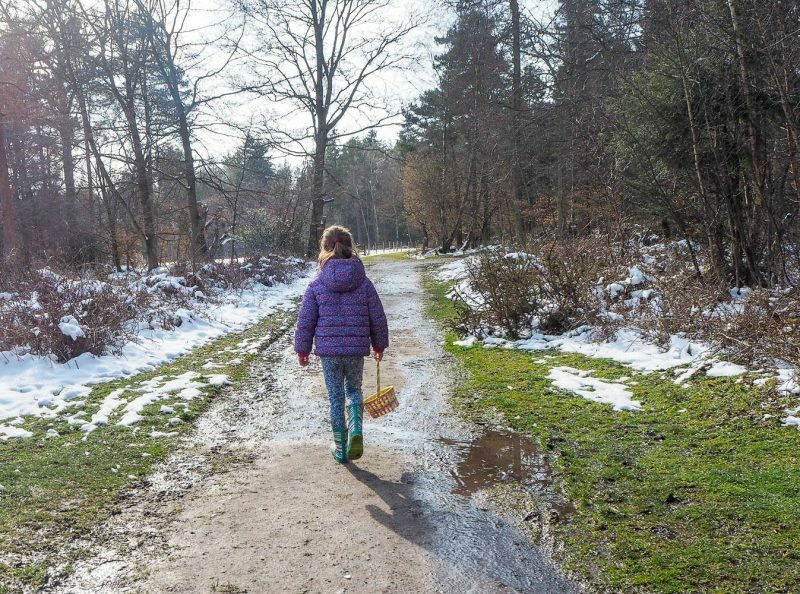 Alice has always loved Peter Rabbit and Holly has followed in her footsteps. We watch all the new Peter Rabbit programmes on repeat and I have a soft spot for Cotton Tail. We were planning on going to see it last weekend when it opened, but it snowed. Yes, it’s snowing in the middle of March, can you believe it? 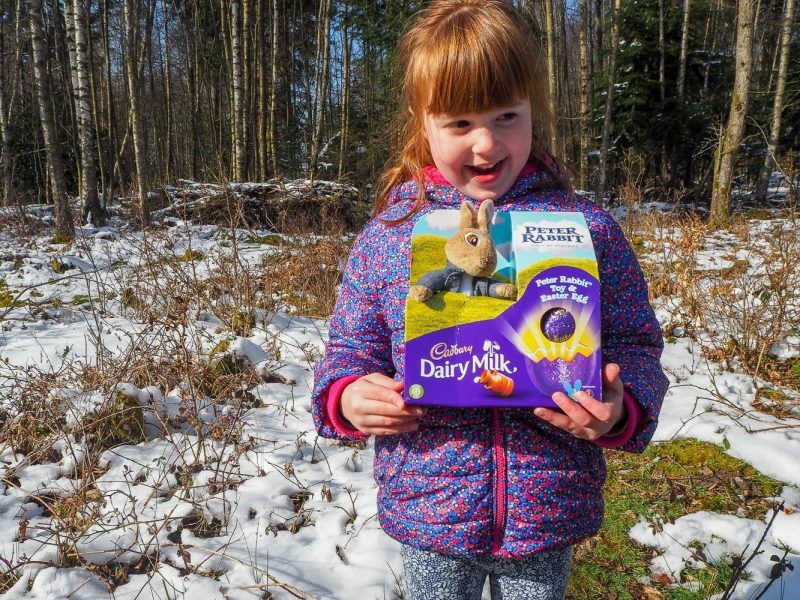 Instead what better way to get outside, get some fresh air and have come fun…than to have an Easter Egg Hunt in the snow! 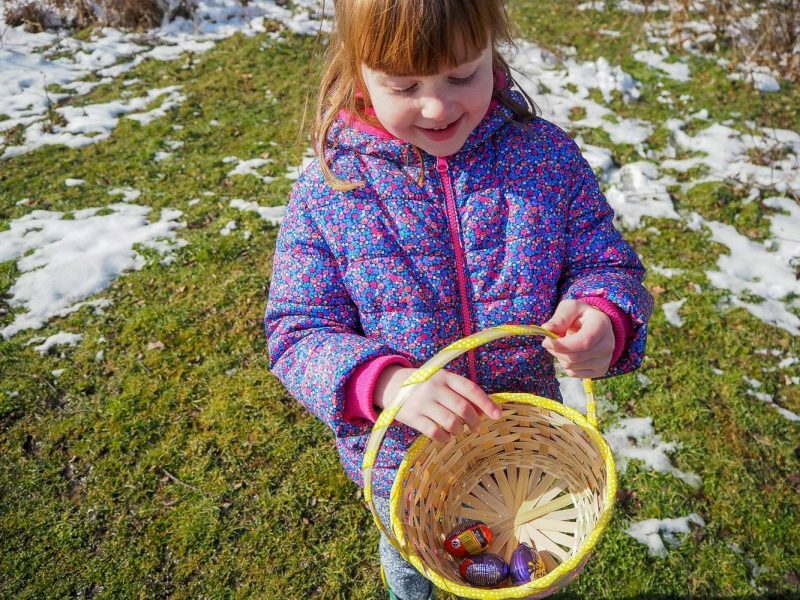 Alice and I headed to the local woods for a little Easter Egg Hunt and she is definitely my daughter, as we were both equally excited at the idea. I thought she was going to burst when she saw the first sign! I just love their excitement at something so simple. It wasn’t long until the squeals got bigger as she started to find the eggs that were carefully placed around. When Alice found the Cadbury Mini Egg, she screamed ‘it’s daddy’s favourite’. Which made me laugh a lot as its true, Andy loves Cadbury Mini Eggs. Alice had never seen the Cadbury Egg and Spoon ones before and she thought we had to do an egg and spoon race with them. Don’t you just love their imaginations. Imagine her delight when I told her, they were for eating too! 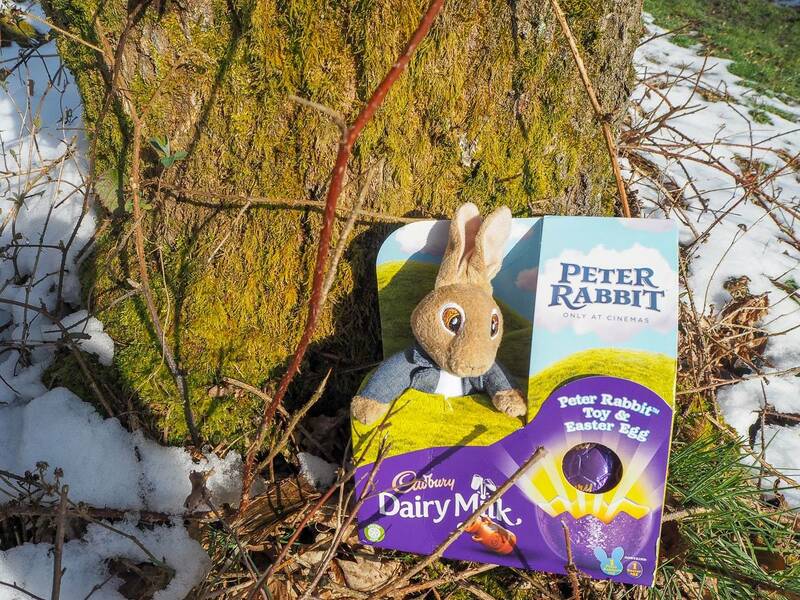 You will spot on the Cadbury eggs that they have teamed up Peter Rabbit (not literally, he is a rabbit after all!) and are giving away 5 family holidays to win and lots of Peter Rabbit prizes too. Look out for the winning ticket inside the promotional packs like this one. I saved the best for last. 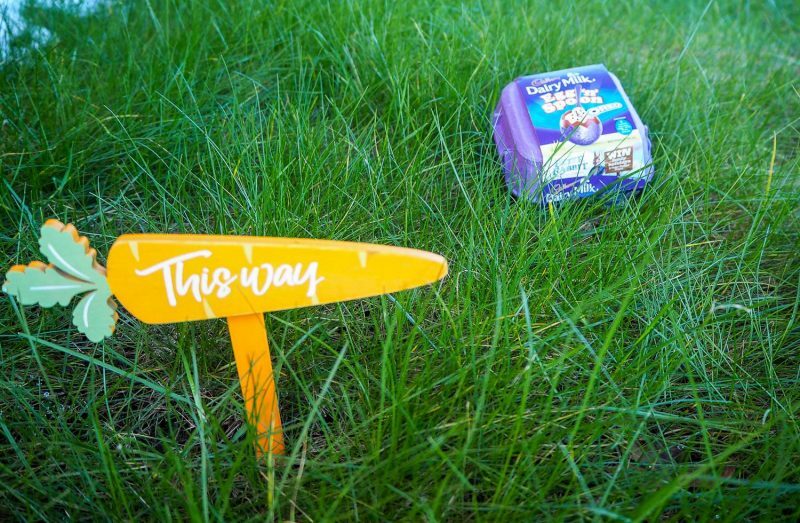 The Cadbury Dairy Milk Egg with a Peter Rabbit Toy, the perfect combination. This went along way to making up for the missed trip to the cinema. He hasn’t left her side since and has pride of place in her bed. My girls and I love to read and singer Frankie Bridge, along with Cadbury have brought out the perfect book for Easter, The Tale of the Great Easter Bunny. The best part is you can download it straight from the Cadbury site. 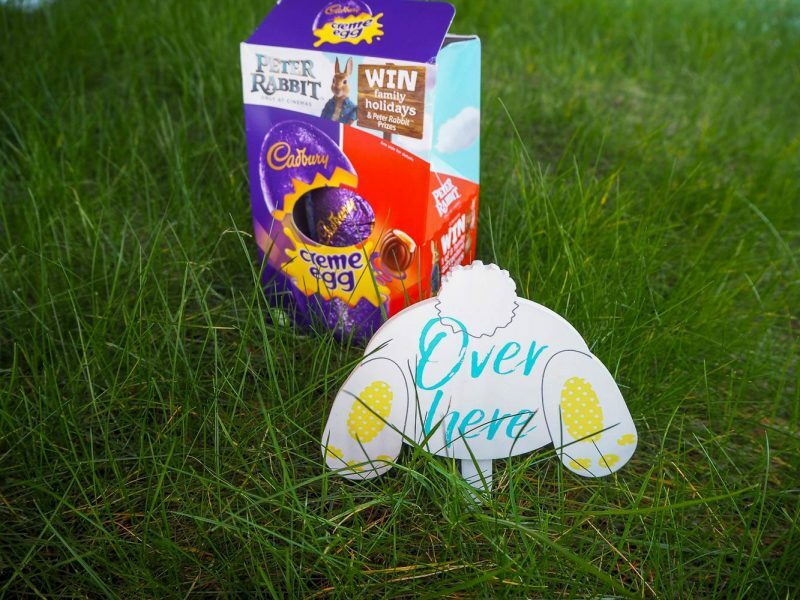 If you are planning your own Easter Egg Hunt this weekend, take a look at the new Cadbury Easter Egg Hunt Super Pack, which contains a great selection of chocolate treats and everything you need. It is priced at £6.99. With the eggs all found and our fingers starting to get a bit chilly it was time to go home for a hot chocolate and maybe an egg or two. What are your plans for the Easter Weekend? 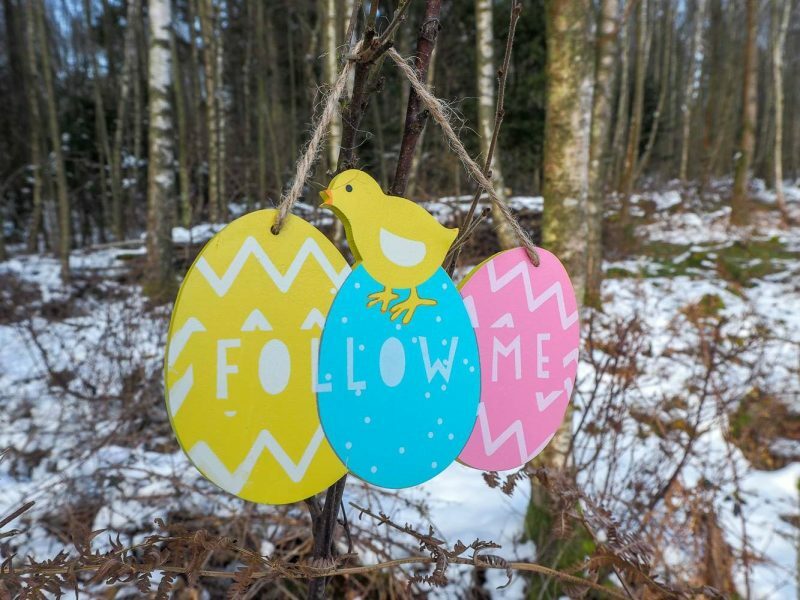 We’re heading to our local National Trust with my parents for the Cadbury Easter Egg Hunt, which is taking place in over 300 National Trust locations. To find your nearest one, head to the Cadbury site. Disclosure: This post is in sponsorship with Cadbury. Previous Post: « Is Wooden Furniture Worth Your Time and Effort? Oh wow a Peter Rabbit with an easter egg….I need to return to the UK to just get one of those!! The egg hunt looked really cute. I will do our own here in our garden, and as it has just dropped 3 inches of snow on us this afternoon, I don’t think there is any risk of them melting!! That looks like such a fun egg hunt. I’m in Ireland for Easter and will be kissing the Blarney Stone in Sunday! Ahh what a fun egg hunt! 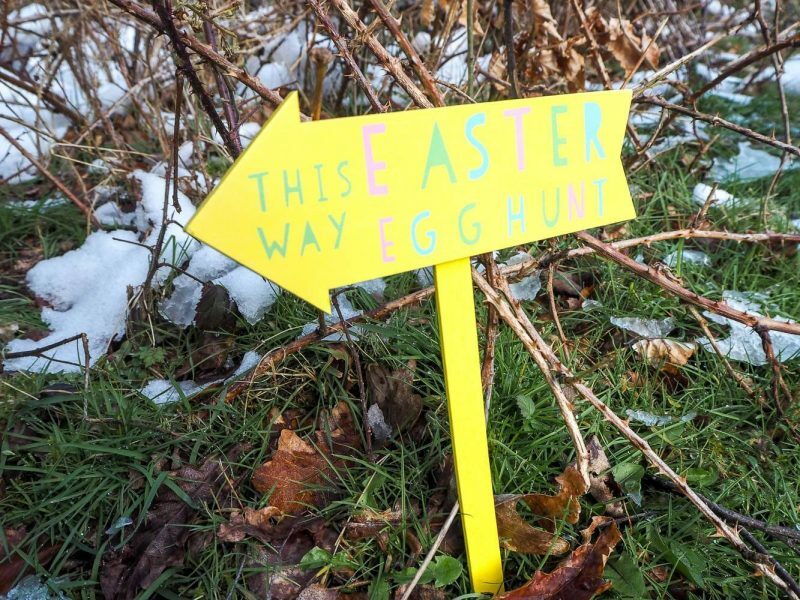 Oh the irony of a snowy easter hunt though, surely we should be getting sunshine by this point!! I love those Peter rabbit eggs! This looks like so much fun! I think we’re off to do a Cadbury trail at a National trust today. Looks like a great hunt! 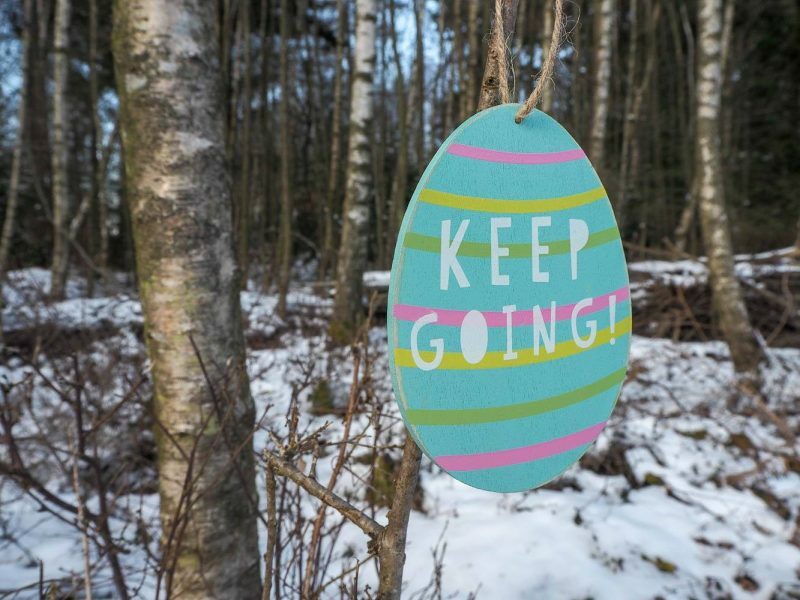 How crazy is that you managed to have an Easter Egg hunt in the snow! We did our easter egg hunt in the snow too, so much fun!! What a fun egg hunt! 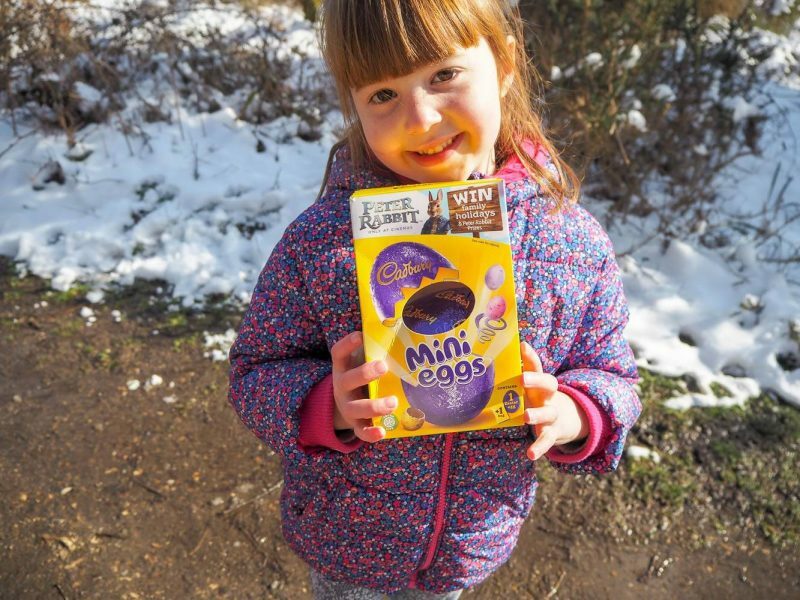 How lovely to be able to have an egg hunt in the snow, it certainly makes for some lovely photographs!